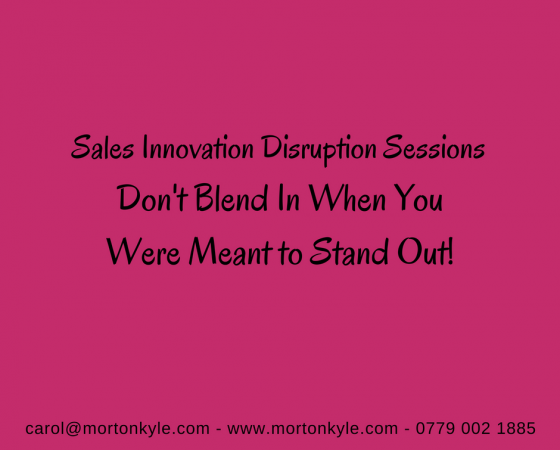 Sales Innovation Disruption Sessions | Don't Blend In | You Were Meant to Stand Out! Sales Innovation Disruption sessions are designed to shake up your thinking so you can do the same to your sector. Are you tired of losing business? 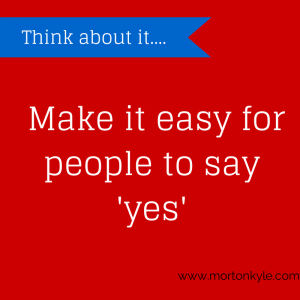 Genuinely struggling to educate your prospects as to why they should buy from you rather than your competitors? Then join us for one day and discover another way. A way that sets you as a beacon for the type of clients, customers, prospects and buyers you want. And by the time they get to you, they’ll have dismissed your competitors as not quite worthy. After all, why would you blend in when you are meant to stand out! Years ago I wrote a blog post – Don’t be a Tree – its message is even more valid today. Run as open and in house course for sales and business leaders to work on their business. Differentiate your business, your product and your service from your competitors. Exploit the unmet needs of your prospects and your current customers. Disrupt your market so competitors have to play catch up. Tip the playing field in your favour. Sales Innovation Disruption Sessions – How? Using a collection of creative, problem solving and disruptive thinking frameworks and techniques, you start to view your business and what it offers in a different context. We help you engage your creative mind, use system thinking and engage a real buyer perspective as you build and rebuild your services, your product delivery, your sales channel, your customer interface, your pricing framework, in fact, any aspect of your business so that it blows your competitors out of the ball park. Never has this mean more true. That means you have the power to change how you position yourself and your business, your products and your service in a very short space of time and without a huge financial investment. Sales Innovation Disruption Sessions designed to help you stand out for all the right reasons! 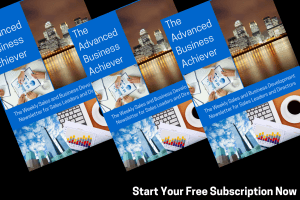 This entry was posted in Blog, Business Strategy, Sales Consultancy, Sales Strategy and tagged Competitive Advantage, Disruption, Sales Disruption, Sales Innovation, Sales Innovation Disruption Sessions. Bookmark the permalink.